﻿﻿ Mrs. Wilfred Manonia Martin Snell, a resident of the Skipperville Community of Dale County, passed away Tuesday, January 8, 2019, at her home after a long illness. She was seventy-nine years old. Funeral services will be held 2:00 P.M. Friday, January 11, 2019, in Skipperville United Methodist Church with Reverend Bradley Chamblee and Reverend Freddie McCain officiating. Interment will follow in Skipperville Community Cemetery, Holman Funeral Home and Cremations of Ozark directing. The family will receive friends in the sanctuary of Skipperville United Methodist Church Thursday evening from 5:00 P.M. until 7:00 P.M. and also Friday from 1:00 P.M. until service time. Flowers will be accepted or memorial contributions may be made to Skipperville United Methodist Church, C/O Mrs. Mary Payne, 3119 County road 64, Skipperville, Alabama 36374. ﻿ Manonia was born on May 27, 1939. Shortly after graduating from high school, Manonia married Jessie Thomas Snell. They were married sixty-one years until her death. She and Jessie operated a grocery store in addition to the United States Post Office in Skipperville for several years. During this time Manonia served as postal clerk and assistant postmaster. In 1974, after being out of high school for more than seventeen years, Manonia enrolled in college. She graduated with undergraduate and graduate degrees from Troy University, Troy, Alabama. She began her teaching career at George W. Long High School in Skipperville. After teaching for twenty-three years she retired in 2001. Manonia had a passion for her students. She not only wanted to educate but also to motivate her students to have a desire for learning. After retiring Manonia tutored students who needed extra help. In 2001 Manonia was named Walmart Teacher of the Year after being nominated by her students. Also, she was honored by WSFA – Country Road 12 as Teacher of the Month. Manonia’s interest in family history and genealogy began early in her life. For more than forty-five years she collected, recorded, and preserved local history. She served as President of the Dale County Genealogical and Historical Society for several years and Chairperson of the Dale County Genealogical and Historical Society Cemetery Survey Committee. She is the author of four published works: MaMa Country, a collection of family genealogy and history of Beat 13 in Dale County Alabama; The Lengthening Shadow: A History of Skipperville United Methodist Church; This Cloud of Witnesses: A History of New Hope Baptist Church, Bertha, Alabama; and Cemeteries of Dale County. 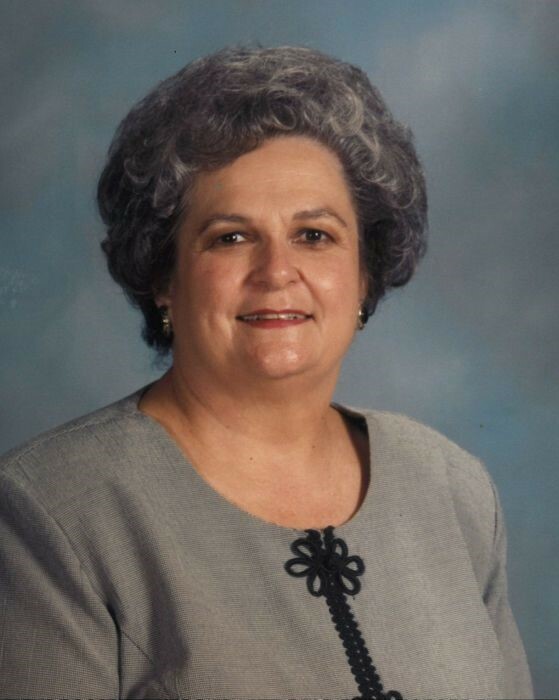 Manonia was an active member of Skipperville United Methodist Church most of her life. She loved God and her church. She was the church historian and through the years she taught Sunday School, directed the church choir, served on various committees and helped in many other ways when called upon. Manonia had a beautiful voice and she sang at many weddings and funerals. The family acknowledges deep appreciation for the love and care given to Manonia by Nancy Jones, April Jones, Marilyn Gray, Dorothy Gray, Latriceya Knight, Michelle Greenwood, and the staff and administration of Community Hospice of Dale Medical Center with special thanks to Jennifer Simmons and Kathy Johnson. Manonia was preceded in death by her mother, Wilfred Martin; her father, J. D. Martin, and her step-mother, Erma Martin. Manonia is survived by her husband, Jessie Thomas Snell; her sisters, Ann Galloway (Lamar) and Nancy Gast (Douglas), a host of nieces and nephews, her church family and many friends. Serving as pallbearers will be Lamar Galloway, Douglas Gast, Orin Galloway, Don Snell, Danny Enfinger, and Ashley Childers. ﻿﻿﻿﻿ William Wade Carr, 78, died on Friday, June 3, 2016, at UNC Hospital. A service celebrating the life of Bill will be held on Monday, June 6, 2016, at 7 p.m. in the chapel of Seymour Funeral Home with the Rev. Vernon Braswell and Chaplain Dr. Bill Boyd officiating. The family will greet friends immediately following the service at Seymour Funeral Home. Interment with military honors will be held in the Eastern Carolina State Veterans Cemetery in Goldsboro, N.C.
Bill was born in Dothan, Ala., on July 2, 1937 to the late Frank and Lucille Riley Carr. He lived his dream proudly serving as a Provost Marshal with the United States Marine Corps. He retired in 1975 with the rank of First Lieutenant. Bill will always be remembered for his incredible intelligence, his wonderful sense of humor and his patriotism. He protected his country and her allies on two tours during Vietnam as well as in other worldwide locations. Bill's valor and skill was recognized with numerous decorations, including a National Defense Service Medal, a Vietnam Service Medal with one star, a Presidential Unit Citation, a Combat Action Ribbon, and a Purple Heart. Bill lived a life of dedication to his family and friends and to his community. He served his community many ways as past president of the Wayne County Veterans and Patriots Coalition. He was also a charter member and served as commander of the Military Order of the Purple Heart Chapter 657. Bill was instrumental in the founding and was a charter member of the North Carolina Marine Corp League Detachment 1350 and served as Chaplain Emeritus of the North Carolina Department of the Military Order of the Purple Heart. He was a member of the Veteran of Foreign Wars Post 2615 where he had served as their chaplain. Bill was always reaching out to help the veterans across North Carolina and for that service, the governor awarded Bill Carr North Carolina's highest award for service to our state, the Order of the Long Leaf Pine. Bill is survived by his children, Debbie Andraka-Rowley and husband Stephen of Hampton, Va., Theresa Carr Finn of Goldsboro, and William Wade Carr, Jr. and wife Carla of Orlando, Fla.; grandchildren, Lauren Ashley Andraka, William Wade Carr III, Michael Carmen Boulia, and Erin Harrington and husband Jon; Corbin Boulia, Lily and Bella Harrington; and his beloved friend and cat, Amber. In lieu of flowers, the family suggests memorials be given to Wayne County Veterans and Patriots Coalition or the Goldsboro Wayne Purple Heart Foundation, 2973 U.S. Hwy. 117 South, Dudley, NC 28333 or to the Military Order of the Purple Heart, P.O. Box 1111, Goldsboro, NC 27533. William Herbert Riley - a native of Dale County, AL and a resident of Saraland, AL passed away Monday, September 30, 2013. He was an employee of International Paper Mill for over 41 years and attended Destination Church in Saraland. Mr. Riley was preceded in death by his beloved wife of 65 years, Rubye Stinson Riley; parents, S.T. and Essie Riley; brothers, Clinton and Randolph Riley; sister, Pearl Cook; and daughter-in-law, Doris Riley. He is survived by his sons, Jack Riley of Houston, TX and Dennis Riley (Judy) of Saraland; daughter Marsha Hattenstein (John) of Chickasaw; brother, George Riley (Sue) of Panama City, FL; grandchildren: Scott Riley (Elizabeth), Michael Riley, Amanda Powell (Jason), Corey Hattenstein, and Jeremy Hattenstein (Trina); and great-grandchildren: Gabe Riley, Hunter Powell, Lexie Riley, Kaylen Riley, Sara Snow, Mattie Riley, Jackson Riley, and Ehren Hattenstein. The family would like to offer a special thanks to Pauline Little, Phil and Wanda McDonald, Lavonne Lawton, and the staff of Southern Care Hospice. Olney Arusta Wright, of Cocoa Beach, born August 18, 1922 passed away March 29, 2012. Nearly 2500 years ago Solomon wrote, "A wife of noble character who can find? She is worth far more than rubies. Her husband has full confidence in her and lacks nothing of value." If ever a woman lived up to these words, it was the one known to her friends as "Rusty." She grew up in Enterprise, AL, where she was a standout tennis player, with a love for sports and all things outdoors, which was a passion she carried throughout her life (we even spoke of skydiving on her 90th birthday). In 1946, she met and married the "love of her life" William Wright and after his retirement from the Navy, and job offer from NASA, they moved to Cocoa Beach, FL in 1956. There they raised their two sons, Billy and Eric. They then enjoyed a retirement that spanned over 30 years, traveling the world, adding 100's of birds to their life-list, reading, playing golf and serving their Lord and His people. She will be missed by her sons, Bill Wright, Eric and Susan Wright; grandchildren, Logan, Oceana, John William, Quentin and Eric; great grandchild, Bauer. A graveside memorial service will take place April 5, 2012 at Florida National Cemetery in Bushnell, FL. In lieu of flowers please send donations to the Oceanside Church of Christ. Olney Arusta Wright affectionately known to all as 'Rusty' passed away on 29 March 2012. Her Obit is posted in Florida Today on 3 Apr 2012. Her Obit is simple but there is much more about her death than is included in the Obit. Olney Arusta Whatley Wright, widow of Medal of Honor winner, William Woodham Wright, Sr., was unloading her grocery cart in the parking lot of the Patrick AFB Commissary on 29 March 2012. A car struck her grocery cart knocking Rusty to the pavement. She was rushed to Holmes Regional Medical Center in Melbourne Florida and died while being prepped for surgery. There was no funeral service for her due to another tragedy in the family. Quentin Wright, a grandson in Tennessee went to the Airport to pick up 'Logan Wright' a granddaughter. While returning home in a violent rainstorm Quentin lost control of the vehicle and hit a tree killing Logan. Quentin was seriously injured but is now out of the hospital and recovering at home. These tragedies have devastated the families and they will take a long time to heal. Rusty was a personal friend and a fellow Christian of many years and her Church family and friends are grieving over these events. Karen Lynn Walker 62 of Harvest Alabama passed away on Saturday February 5, 2011 at the University of Alabama Hospital in Birmingham Alabama. Survivors include her husband of 38 years, Joe J. Walker, two daughters, Teri Neiland and husband Bill of Meridianville and Tiffany Davis and husband Stevan of Madison; one son, Jonathan Walker of Huntsville; four grandchildren,Clay, Callie, Nicalos, and Noah; one brother, Larry Taormina and wife Janice of Huntsville; and her parents, John and Edna Riley Taormina. A life celebration gathering will be from 5 to 8 p.m. Thursday at Laughlin Service Funeral Home. A private burial is planned at Maple Hill Cemetery. Karen Lynn Walker-Edna Gloria Riley-John Hardy Riley- Laura Nellie Riley-Emanuel Riley-Edward Riley-John Riley, Sr.
William Wright, 92, finished his race and received his crown on Friday, September 3, 2010. He was born in Hartford, AL in 1918. With a lifelong love of travel and exploration he joined the Navy and marched in FDR's 2nd inaugural parade. Then he was stationed at Pearl Harbor, surviving the "Day of Infamy," aboard the USS Vestal moored next to the USS Arizona. From there he served with a flotilla of PT Boats, the same one made famous by JFK's PT109. He met his wife of 64 years, Rusty, and married in 1946 and then was back in the fray of the Korean War. His career took an important turn as a part of the team launching the Navy's early ballistic missile, the "Regulas". That led to an interview with Dr. Debus and a job with what became NASA after retiring. In 1958 they launched our first satellite Explorer 1 and then was selected for "Operation Hardtack," which launched and detonated a nuclear warhead in the atmosphere over the Pacific. Back in Cape Canaveral, and then KSC, their team put men into space in the Mercury program and then on the moon with Apollo. From 1956 to 1977 he wasn't just an observer of history, but a participant. All this along with his love for his wife and family, his unquestioned goodness, his unwavering faith and his passion for sailing and birding was what made "The Greatest Generation" great. He is survived by his wife, Rusty; his two sons, Bill and Eric and his wife Susan; grandchildren, Eric and Eva, John William and Labri, Quentin and Nadine, Logan and Oceana. His first great grandchild is due in December. Memorial Services will be at Oceanside Church of Christ, Tuesday September 7th at 4:30 pm. For those of you that might be interested, my cousin Robert Earl Woodham passed away on August 2, 2009. Here is his obituary from The Post Searchlight, Bainbridge, Ga. Clayton Logue posted this on the Woodham Family Genealogy Forum. The late Robert Earl Woodham, 69, of Columbus, Ga., was interred Thursday, Aug. 6, at East Porterdale Cemetery in Columbus. Born on Sept. 24, 1939, in Seminole County, Ga., Mr. Woodham died on Sunday, Aug. 2, 2009, at his residence. Mr. Woodham was a 1957 graduate of Bainbridge High School, where he was a member of the marching band. He later attended West Georgia College, majoring in journalism. Mr. Woodham began his writing career with The Atlanta Journal. He was especially dedicated to researching his family background, which eventually became his life-long passion. Mr. Woodham is survived by his three siblings; Janet Owens and Donnie Parrish of Columbus, Ga., and R. Harold Parrish Jr. of Forsyth, Ga.
McMullen Funeral Home in Columbus was in charge of funeral arrangements. Mr. Esker Dell “EK” Riley of the Lytle Community, passed away on Monday, January 4, 2010. He was 96. Funeral services will be at 2:00 p.m. Wednesday, January 6, 2010 in the Chapel of Pittman Funeral Home in Geneva with Rev. Elbert Smith officiating. Burial will follow in Sunset Memorial Gardens with Pittman Funeral Home of Geneva directing. The family will receive friends prior to the service Wednesday from 1:00 p.m. until service time. 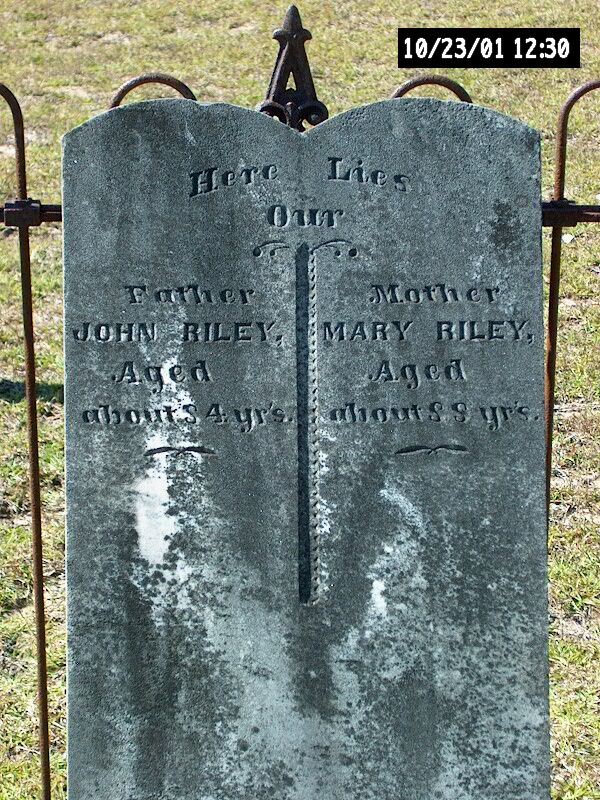 Mr. Riley was born in Geneva County on December 10, 1913 to the late Albert and Anzelli Riley. He was raised in the Echo Community. He served in the US Army during WWII. Prior to retirement, he owned and operated Riley Butcher Pen for many years. Preceding him in death were three sisters, Mae Hicks, Mamie Roney and Leo Anderson; and two brothers, Odis Riley and Louie Riley. He is survived by his wife of 61 years, Jessie Riley; daughter, Pam Barnes of La Grange, GA; son-in-law, Albert Barnes of Samson; two grandsons, Chad Barnes of Madison, WI and Alex Barnes of Columbus, GA; and many nieces and nephews.